This is a perfect gift for all crafters, artist who want to learn a new skill and beginner who just want to learn the are of print making. They a variety of soft cut easy carve lino so you can practice your carving skills or create stamps and then traditional lino for when you improve. You can make many prints with the water-based ink whilst keeping you work space clean with the handy ink tray. Your prints can then be transferred onto paper card and even fabric. Showing 3 of our total 6 reviews, with an average rating of 4 stars. 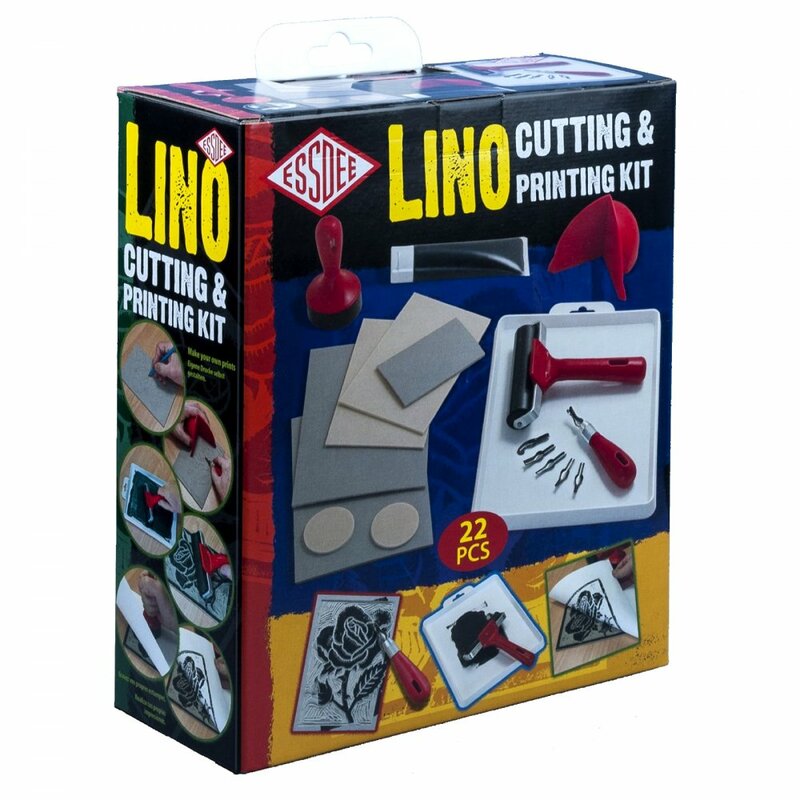 Read all 6 reviews for Essdee Lino Cutting and Printing Kit - 22 Pieces Set Create Stamps and Prints. The set is ideal for an art class and for beginners learning the Relief printing method. Good value. I have not done lino cutting for many years and was keen to start again. I got this set but it is not very good value for money. Nothing is really high standard. The cutting handle is small, blades are poor quality and the stamp is made up of all the parts needed for cutting. I will make my own cutting block as the thing provided is difficult to hold and not safe. However the roller is ok . It may be alright if you are not too bothered but I would purchase equipment separately in future. Great product.I am very pleased.